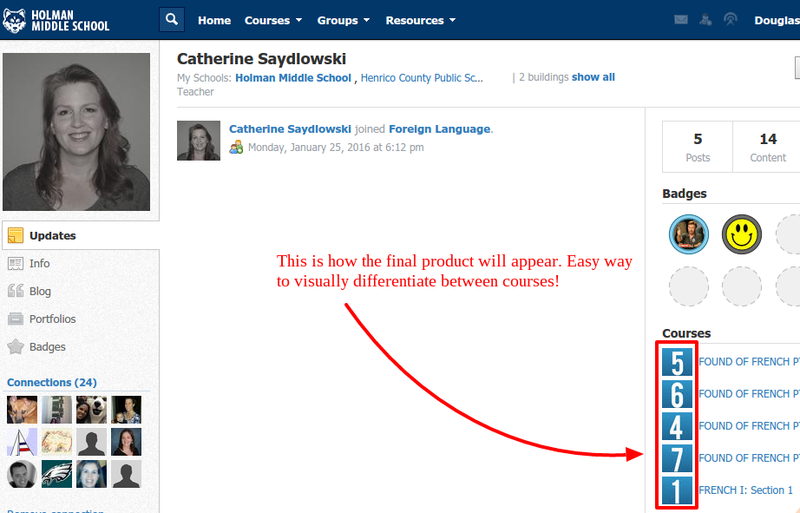 Want to make your courses easily identifiable to you and your students? Why not upload a course thumbnail indicating the block number? Below is a list of block numbers that you can save to your hard drive. Right Click on number > and select Save Image As to download that number to your hard drive. You will then be able to upload that image to the corresponding course/block in Schoology. If you don't like my numbers feel free to create your own or find them via. a Google image search!